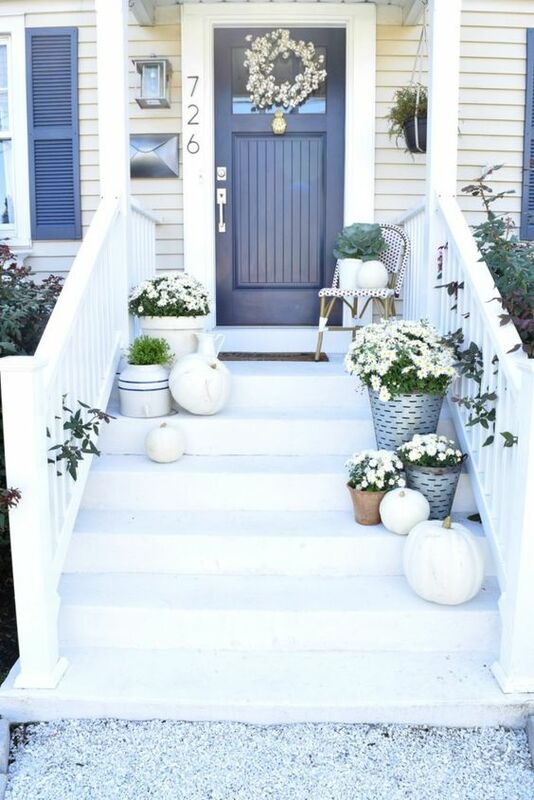 If your front porch features stairs too, then you should definitely look for ways to decorate them so that they can stand out. 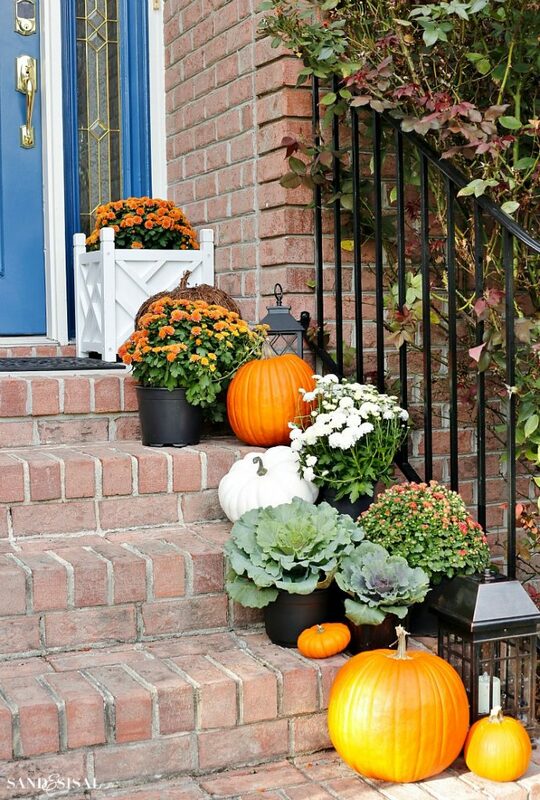 Adding some flower pots is of course a must, but since we are now in the fall season, you can of course try to decorate the outdoor stairs with some pumpkins. 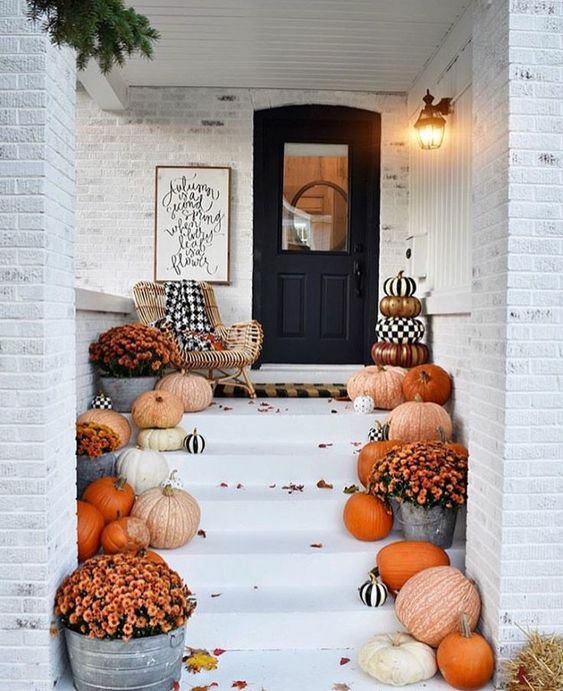 Pumpkins are one of the symbols of the fall season and besides making various decorations out of them you can also use them to beautify the outdoor stairs and thus leave a great first impression of your home. 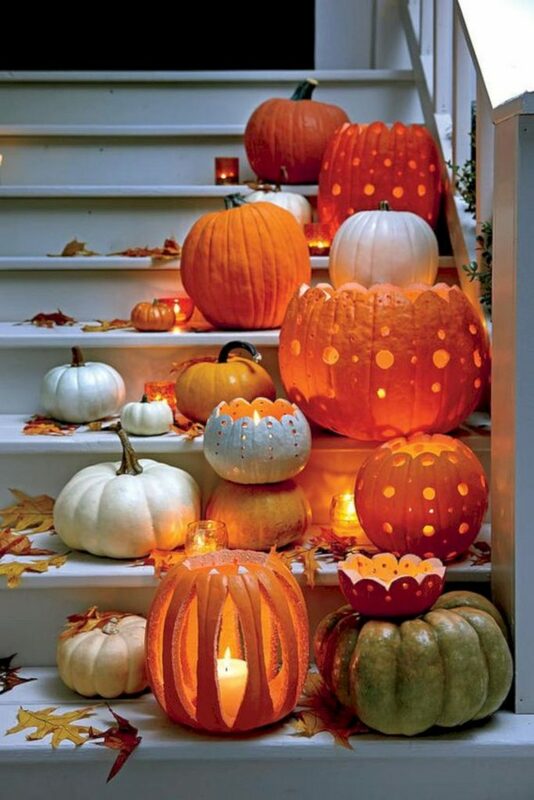 You can choose to add some pumpkins of one side of the stairs, or maybe on both sides. Your choice will of course depend on your taste as well as on the width of the stairs. 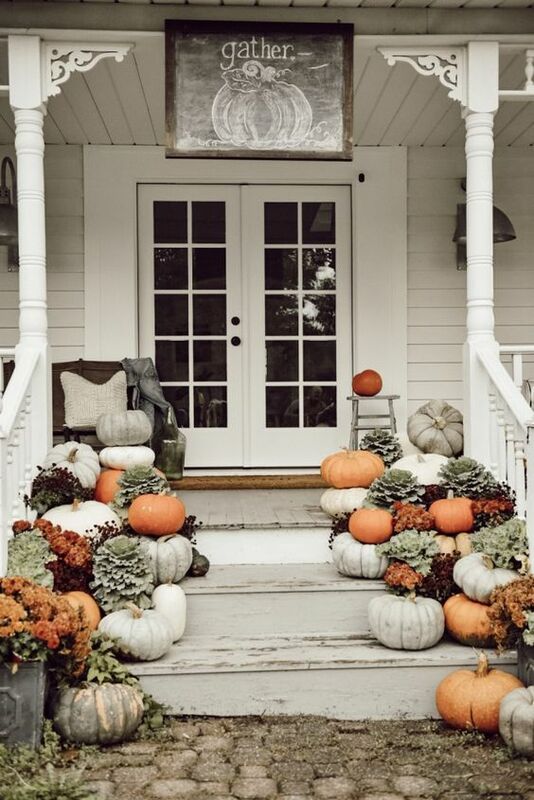 If they are too tight then you won’t be able to move freely up and down if there are pumpkins set on both sides. 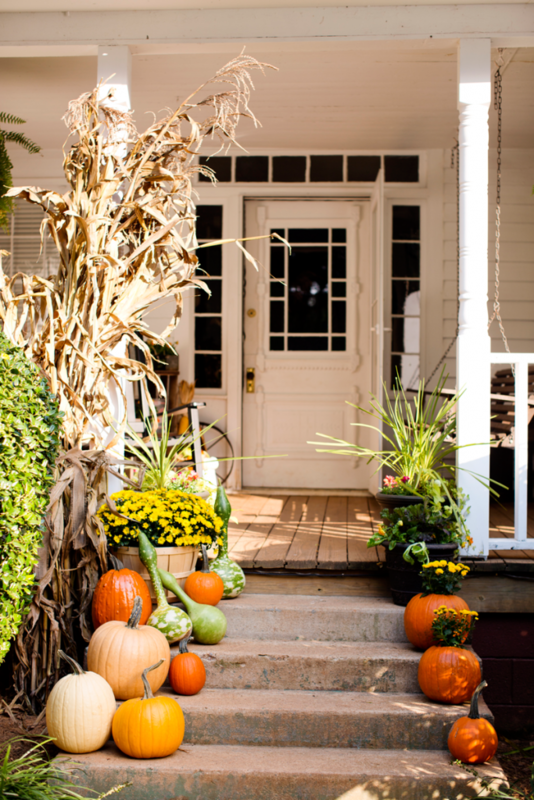 Also, pumpkins can vary in size, so you can use both small and bigger ones. 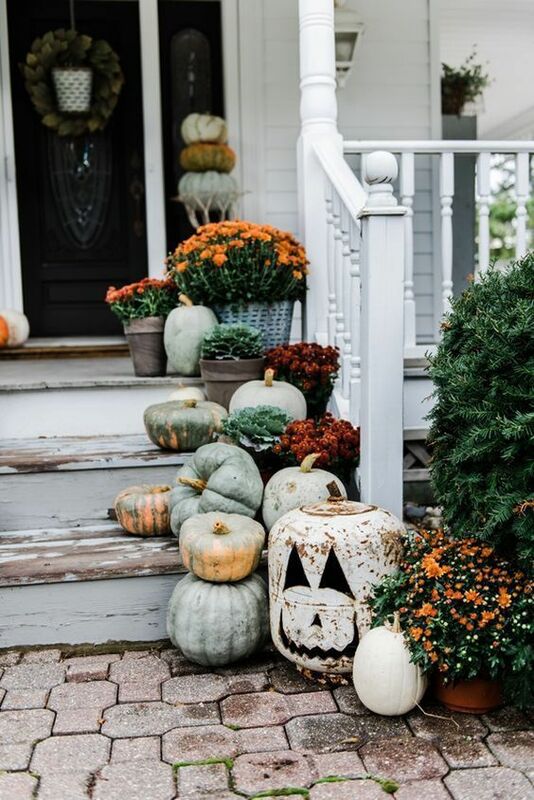 And of course if you don’t like the color of the pumpkins, then you can easily paint them or decorate them somehow and thus make them look more unique. Here are some ideas you can get inspired from. 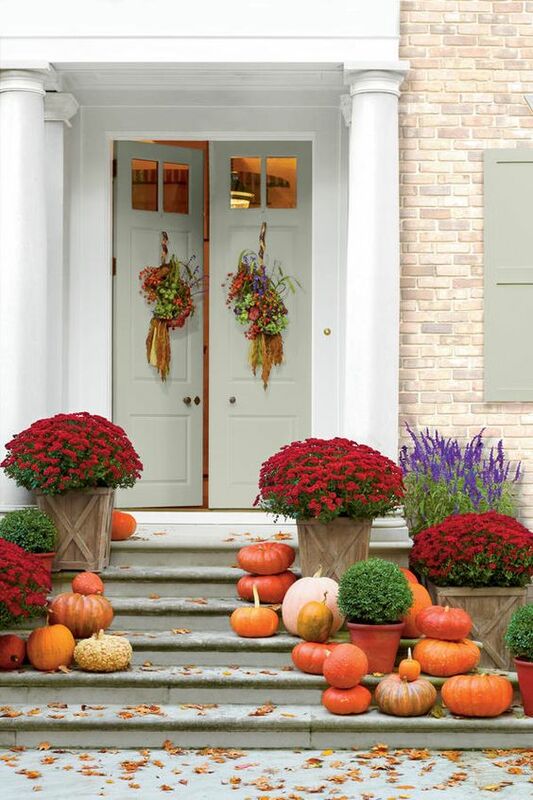 Besides pumpkins, you can also add other decorations that will complement with them. For instance, this could be some pots filled with flowers. 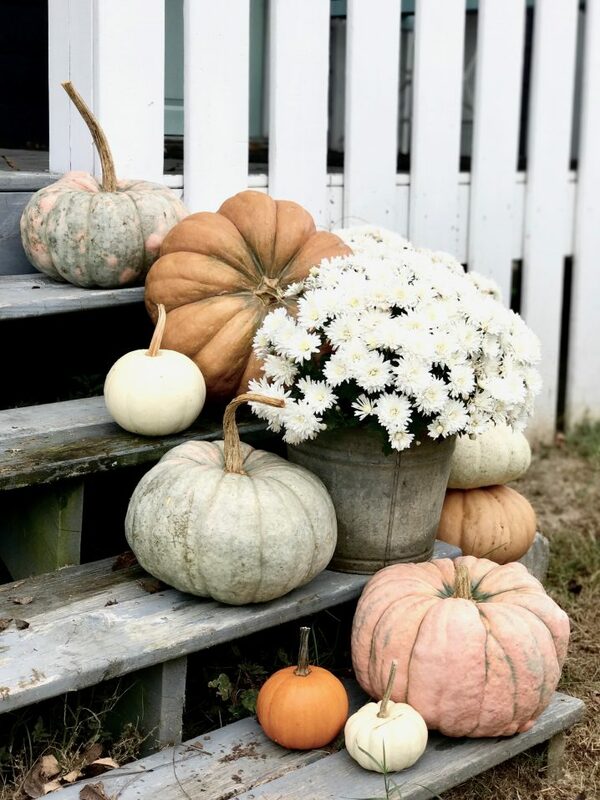 Mums are the best choice for fall flowers and they can be found in different colors, so that you can find the perfect combo for the pumpkins. 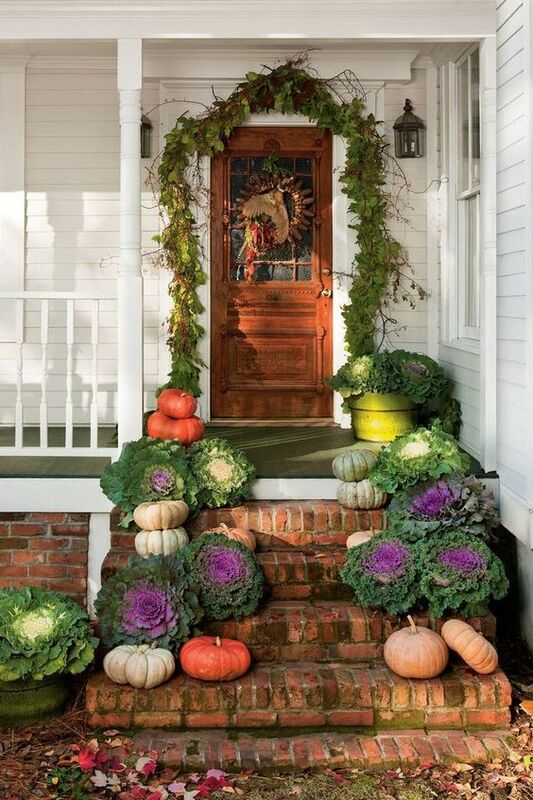 Also, ornamental cabbage is quite popular choice for a plant that offers color through the cold days with its bold foliage of vibrant colors. So, how about you make a combo of these three and make your outdoor stairs stand out from the rest on the street? 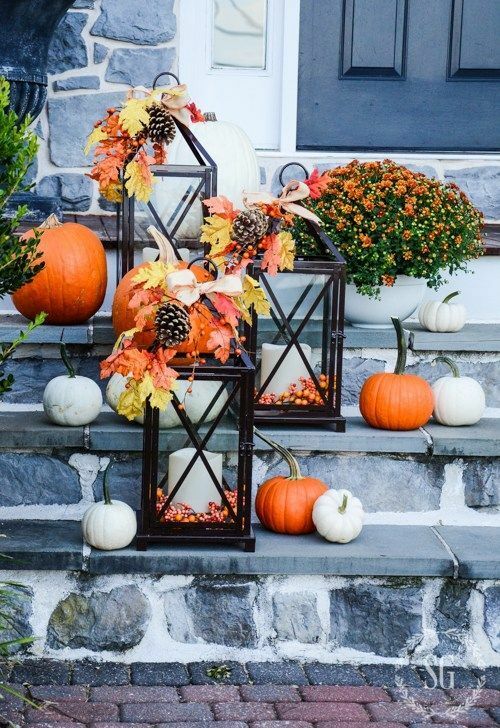 So, which one from the above ideas would you try to copy and thus beautify your outdoor stairs with some pumpkins?